On June 27, 2014, we had a riveting Q&A interview with global executive coach, clinical psychologist turned managing partner of the Levin Group, and internationally-recognized expert on senior executive transitions and global team coaching, Patricia Wheeler, PhD. You’ll also receive a complimentary subscription to our monthly email newsletter, The eMentorCoach News. You can unsubscribe at any time. Your privacy and email address are safe with us. The Levin Group is a global consulting and leadership advisory firm, working with leaders around the world who must innovate and deliver exceptional business results within an environment of rapid change and increasing complexity. Over the past 20 years, the firm’s clients have included Fortune 500 to mid-cap organizations within the areas of Banking and Financial Services, Insurance, Professional Services, Energy, Education, Communications, Healthcare, Life Sciences, Technology, Manufacturing, Consumer Products and Construction. Some of the most prominent national and international giants are AT&T, Bank of America, Cisco Systems, the Coca-Cola Company, ING, Intel, Johnson and Johnson, Merrill Lynch, Nationwide Insurance, Safeway, and Sunoco. Patricia Wheeler, Managing Partner of The Levin Group, is an expert in leadership development and executive coaching, and with more than 20 years of experience focused on helping smart, technically talented executives become more effective leaders, creating high performing teams and developing organizational talent and “bench strength.” She works with leaders around the world helping them hone their skills and executive presence. Through executive assessment and feedback and talent engagement, Patricia has helped develop high performing senior teams. Patricia is highly recognized for her experience and research in senior executive transitions, helping leaders maximize success in bigger and broader roles and achieve business results in times of rapid change and complexity. Almost one out of three senior-level executives who come aboard in new companies fail to perform well enough to keep their jobs even two years after entry. Whether the senior executives come from outside companies or are transitioned from within a company, the “onboarding” process can take months and usually requires mentoring (for external hires), and coaching (for internal hires) to assimilate into the new culture and role. 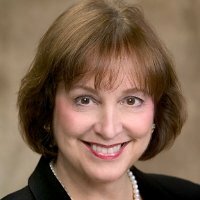 The potential loss of company profits, products, and morale from uncertain or failed leadership have inspired Patricia to facilitate successful senior executive transitions involving proactive steps–presented in workshops, virtual classes (see Fast Forward on The Levin Group website), and coaching. Patricia’s work in the area of senior executive transitions has been published in Forbes, Harvard Business Online and Business Week. It is no longer enough to be a good US-centric consulting firm as virtually every industry is now interconnected within the global economy. Understanding culture and how business gets done in different parts of the world matters. And being able to show up with country experience and work in different languages is more important than ever. Because The Levin Group has built on an “alliance model” involving top-level executive coaches across the globe, they are able to work anywhere in the world. Over the last two decades they’ve worked with leaders on six continents in over 40 countries using this global alliance of experienced partners. The Levin Group consults with companies that are already international or are expanding their roles, products, and locations to other continents. They have worked from boardroom to shop floor and from supply chain through sales and marketing, and with executive teams in designing and implementing strategic change initiatives, building alignment among leadership teams, facilitating major off-site planning retreats and providing the coaching and training to grow existing and evolving leaders. Assessment of executive strengths and skills and promoting collaboration across top-level executives are essential parts of the leadership coaching. As an undergraduate student at Georgia State University in the late 1960’s, Patricia Wheeler was a dedicated art major. But just before her senior year, she realized she would need to find a more practical means to support herself. So, she made a life-changing shift to a major in psychology, overloading herself with courses so she could graduate with her class in 1971. Since a BA in Psychology requires further education for professional credentialing, she dived into graduate school at Georgia State, earning both a Master’s and a PhD in Clinical Psychology by 1978. During one of her first jobs at Emory University Medical School, she became intrigued by systems theory and approaches–looking at relationships and interactions in terms of their contexts, a connected web of elements where behavior or change in one part influences behavior or change in another. With her systems perspective, she was able to increase patient and family compliance with medical procedures by coaching physicians in their bedside manner. As an Associate Professor at Emory, she continued to teach these skills to medical residents, and drew upon her systems approach when she performed consultations. Patricia practiced as a Clinical Psychologist and Consultant for about 20 years, partly because it gave her the flexibility to raise her two young children. But her increasing disillusionment with managed care forced her to consider other possibilities–should she build on her increasing experience as a consultant and her knowledge of systems, and earn an MBA? Her husband Larry, also a PhD Clinical Psychologist from Georgia State, had already transitioned from practicing psychology into the business world as a consultant. As Patricia was exploring options for her own future, she remembers receiving an email announcement from psychologist/coach Ben Dean about an upcoming workshop in Atlanta: “Coaching: Helping Accomplished Therapists Become Extraordinary Coaches.” Another life-changing decision: she joined the introductory class, went on to Foundations and continued her coach training. When MentorCoach was accredited to offer coaching certification independently, Patricia was among the first group of students to “road test” the examination process and become certified. Patricia had many years of consultation under her belt, but to catapult from a newly certified coach to coaching senior executives world-wide, she relied on an integrated support system involving participation in what was essentially a Mastermind Group. She “knew people” and was invited to join a group of consultants associated with Marshall Goldsmith, the world-renowned executive coach. Over a decade later, this global alliance of executive coaches continues to provide its membership of high-level coaches a forum for problem solving, support, sharing best practices, creating teams of coaches for projects, and business coaching referrals. Patricia became one of the first coaches certified in the Behavioral Coaching methodology created by Marshall Goldsmith and asked if she might partner with him in creating a monthly newsletter, with thought leader interviews especially relevant to business leaders. Their resulting collaboration, Leading News, has become an essential resource for executive development, helping successful leaders become even more successful. Patricia serves as a coach for the #1 ranked non-university executive education program, the Global Institute for Leadership Development and is the past Managing Director of the global coaching alliance Alexcel (Alliance for Leadership Excellence). She eventually joined her husband in The Levin Group, and currently serves as managing partner. In that role she combines her extensive experience with her knowledge of cutting-edge research to optimize executive performance and drive bottom-line results. She also coordinates contracts with other executive coaches who deliver coaching to leaders in large companies stationed on multiple continents. Patricia currently lectures at the Robinson College of Business at Georgia State University. She is a contributor to Linkage’s Best Practices in Leadership Development, Coaching for Leadership, Third Edition, and AMA Handbook of Leadership. She also contributed to a book about women’s leadership coaching, Taking the Stage: Breakthrough Stories from Women Leaders, in which senior executive coaches and their clients share their coaching process and its effects on business and personal growth. Patricia has developed virtual and in-person seminars to address essential skills for successful leadership. Patricia lives in the Atlanta area with her husband and business partner, Larry Levin. Their two daughters are successfully launched, the elder having earned a nursing degree on the road to a Master’s and credentialing as a nurse practitioner, and her younger daughter a new graduate of NYU’s highly-rated theater program. As a costume designer, she recently worked on the costume design staff of the Broadway revival of Cabaret. 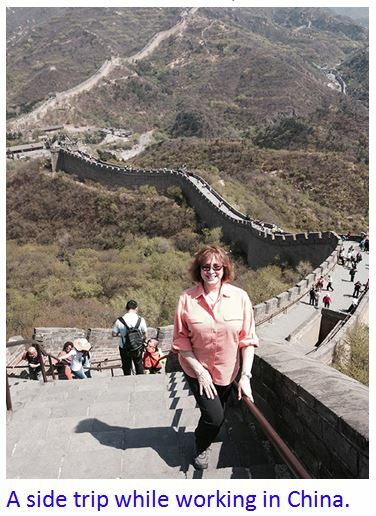 World travels associated with The Levin Group’s global teambuilding have allowed opportunities for side trips in many places, such as an African safari and a trip to China’s Great Wall. So far this year, Patricia has worked in Scandinavia, Africa, and Asia, and she assembles coaching teams across continents. With all the miles she’s amassed and those to come later this year, she expects to hit Platinum level on Delta! But she also treasures, and achieves, balance in life. Particularly over recent years, she’s nurtured her inner artist, sidelined in her senior year of college–by becoming proficient in creating cloisonné enamel jewelry and setting up specialized equipment and tools to complete her artist’s studio. During her extensive travels on every continent, she collects unique stones and other precious materials to use in her newest incarnation–as a creative metalsmith.